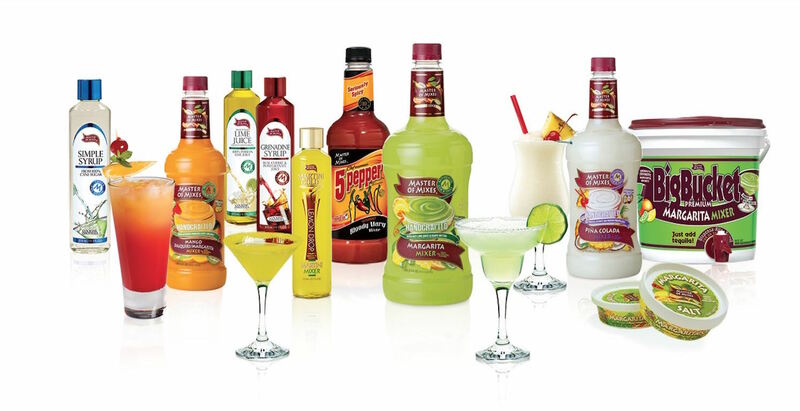 American Beverage Marketers (ABM) is a leading distributer of premium cocktail mixes, found in retail stores, restaurants, and entertainment establishments. Headquartered in New Albany, U.S.A, American Beverage Marketers have products in locations throughout the Americas, Europe, Asia, and Australia. "Our day-to-day operations have been drastically simplified because of Flowfinity's mobile apps," said Imad Makdah, CIO, American Beverage Marketers. "Our business processes are more efficient, and our captured field information is centralized and automated, making our workflow run very smoothly." "Management can quickly identify needed changes, which can be pushed out immediately to all devices, instantaneously. This enables them to make decisions better, and to drive sales." ABM conducts retail price audits and surveys at each location to measure retail and promotional pricing, product usage, and customer satisfaction. When field staff performed these tasks in the field, product information would be typed into excel files, attached to an email, then sent back to the office to be re-typed into the system. These steps made the process time-consuming, inefficient and tough to scale. "Collecting and aggregating the submitted forms was a monumental task," said Makdah. "In addition, making sure that everyone used the latest revision of the form was a big challenge." It was also difficult to make sure every sales manager and product rep was working with the correct and most up-to-date forms, especially with business processes constantly evolving. ABM needed to ensure data collected was not only accurate and consistent, but also aligned with best practice standards. It was critical for the solution to be easy to develop, easy to deploy, and easy to use. ABM needed a central location to handle retail audits, manage users, track devices, and monitor staff hours to enhance control and visibility into the field. It was also important for the mobile solution to easily integrate with internal databases, so teams could access crucial business data in the field. With so many audits and surveys to complete, field staff needed to view product and customer lists to perform their tasks properly. ABM evaluated multiple enterprise mobility solutions, and chose Flowfinity because of its user-friendliness, simplicity, and built-in web browser portal that could effectively control their business processes. "The primary reason we choose Flowfinity over other solutions was because of the web browser portal," said Makdah. "We now have a central portal screen that provides us complete visibility into the field audits and the data gathered." Using Flowfinity software, ABM customized a solution to automate their retail audits and surveys process exactly to their specifications, resulting in higher efficiency. Field activities now take less time to complete and teams meet monthly targets faster. "Our retail price audit and on-premises usage survey processes have significantly improved," said Makdah. "The organization has greatly benefited from automation, reducing data collection costs with Flowfinity." "Our retail price audit and on-premises usage survey processes have significantly improved. The organization has greatly benefited from automation, reducing data collection costs with Flowfinity." Flowfinity's software provides a centralized database, allowing management to go to one location to find all the information they're looking for. This instant collaboration means issues are spotted and decisions are implemented right away. "Flowfinity gives us the ease of reviewing and collecting data in a central location. Management can quickly identify needed changes, which can be pushed out immediately to all devices, instantaneously," said Makdah. "This enables them to make decisions better, and to drive sales." Accessing timely information proved to be a key success factor in improving productivity. Flowfinity enables two-way data flow so field staff can retrieve vital information on the spot, on any device. This enables them to complete work with accuracy and eliminate information gaps, no matter their location in the field. "Our teams can easily access past reports and audit information through their phone, iPad, web browser, whichever platform they prefer to use," said Makdah. By going mobile, ABM has improved their customers' overall impression of their business and enables them to deliver insightful retail performance results. Flowfinity's software allows ABM to capture images, add memos, and generate PDF summary reports, which improves their ability to share information. "We're able to present our clients with graphical audit reports that point out key successes and growth opportunities," said Makdah. "The ability to include photos directly in the retail audits is priceless." ABM no longer has to worry about whether or not their sales managers and product reps are using the latest form in the field. Flowfinity's software enables ABM to easily make updates to their mobile forms, for any fluctuations in their business processes. "Once a change is made, it's published instantly and updated across every platform," said Makdah. "The collection of information from each form became easy, and we're satisfied everyone is using the latest version." ABM sees the potential to expand use of Flowfinity within their sales team, enabling them to place orders for samples and other promotional material for delivery to customers. "Using Flowfinity for this case could help us process and manage the workflow in a very efficient manner," said Makdah. ABM is also exploring management dashboards in Flowfinity for KPI visualization and tracking. Our day-to-day operations have been drastically simplified because of Flowfinity's mobile apps. Our business processes are more efficient, and our captured field information is centralized and automated, making our workflow run very smoothly.